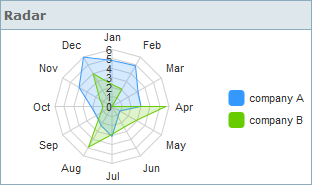 Here we speak about various Webix chart types that you have at your disposal. 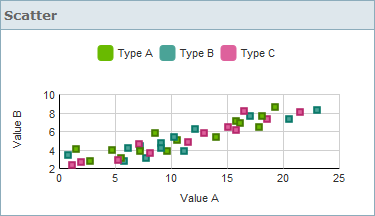 Basically, you should set the type property of the chart constructor to the necessary value to switch to the corresponding chart type. 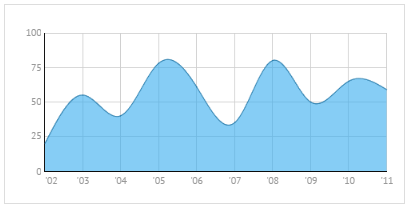 Line chart features a broken line to join the points while a spline chart has a curved one. 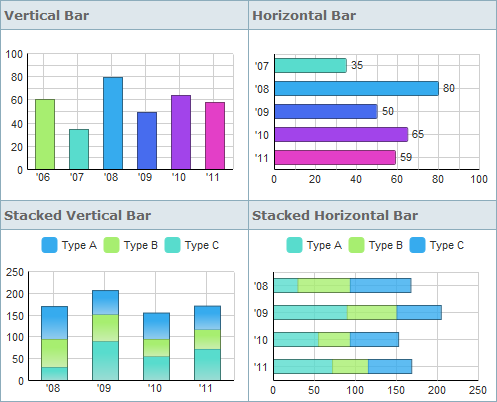 type:"bar" //or "barH", "stackedBar", "stackedBarH"